Manufacturer: a&S Machinery Co., Ltd.
We provide hydraulic radiator assy. For the following Komatsu excavators, loaders, bulldozers and dump trucks. The hydraulic radiator assy. (charge air cooler, oil coolers, water radiators/water cooler/water tank and intercoolers) we supply for those Komatsu construction vehicle and mining equipment could be aluminum, copper or brass, which are light weight, with high density cores, and high performance designs, to expel heat efficiently. The hydraulic radiator system for Komatsu excavators, loaders is a available for small utility machines up to large mining shovels. A full selection of size and types will fit all popular Komatsu heavy equipment and applications. We have been supplying those spare parts as new original, OEM, and also replacement parts. If any interest in our hydraulic radiator assy. Or other spsare parts for Komatsu excavators, loaders, bulldozers and dump trucks, please feel free to contact. We're glad to help solve your problems. 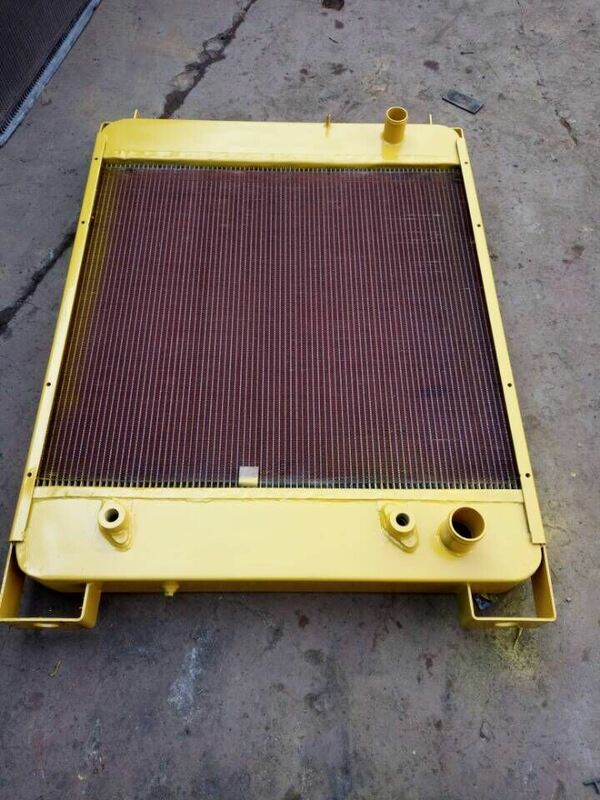 Contact us if you need more details on Radiator for Komatsu Excavator. We are ready to answer your questions on packaging, logistics, certification or any other aspects about Radiator for Komatsu Front End Loader、Oil Cooler for Komatsu Excavators. If these products fail to match your need, please contact us and we would like to provide relevant information.